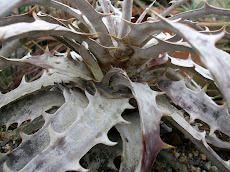 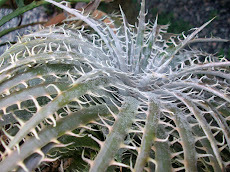 Dyckia, a hybrid plant and a moss covered rock. 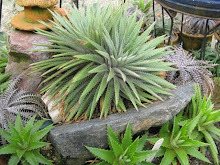 Here one can notice the substrate I use, just organic matter. 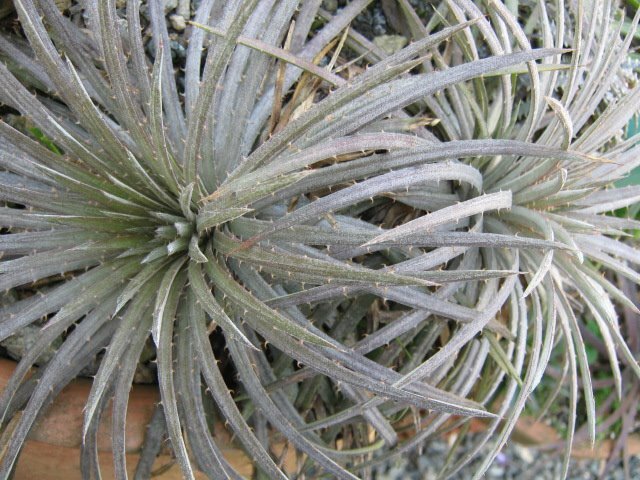 These plants that seem to be four in each tray were single headed ones. 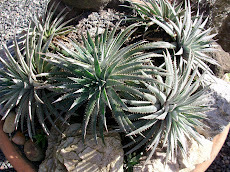 Dyckia hebdingii and Dyckia domfelicanensis they both produce clone plants by dividing their heads. 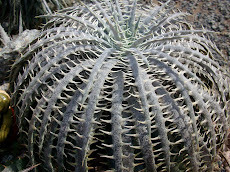 These are old and magnificent plants. 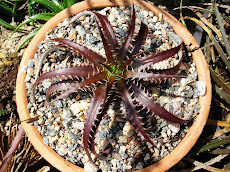 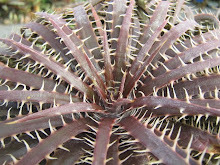 Dyckia felicianensis on a true Japanese bonsai tray. 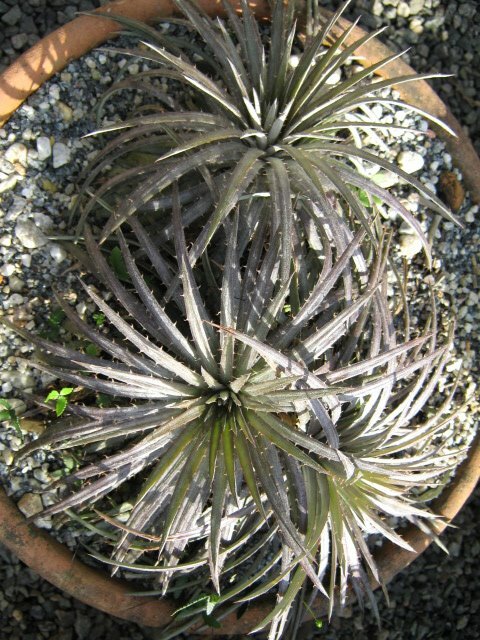 and al shades in between. 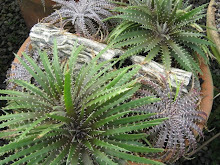 A green Dyckia pottiorum on a Japanese bonsai tray. 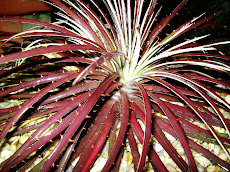 Pot a pottiorum on a tray. 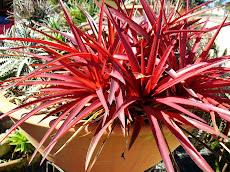 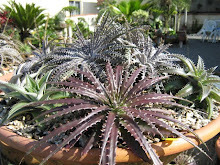 A pot full od pottiorum, an aureum pot of Dyckia pottiorum. 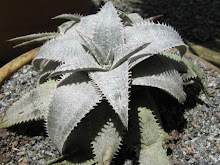 Extremely rare and ultra endangered. 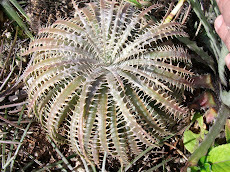 It as found only on a steep slope close by a high traffic highway the Br-470. 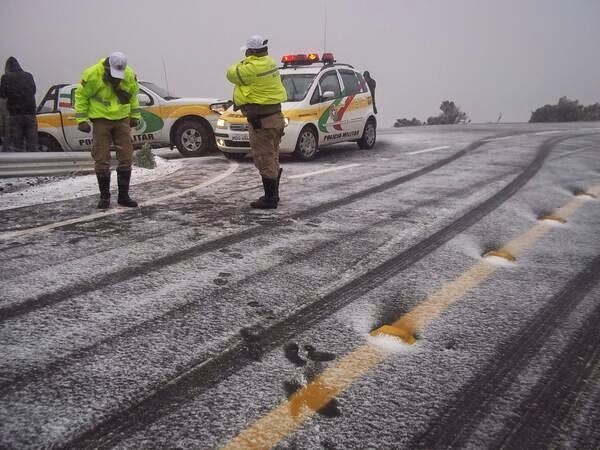 Less than a dozen individuals were there and most were destroyed by the road maintenance workers. 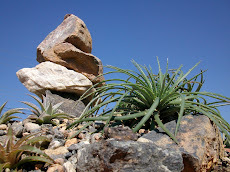 They removed loose roks in order to prevent them from falling on the lane and also removed the plants. 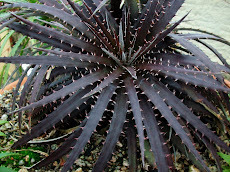 What was rare turned to be super ultra rare as no other population was found . 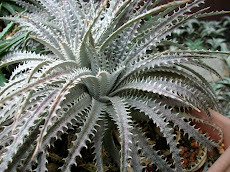 Dyckia breevifolia grows some 5 hundred meters bellow on the river banks and also Dyckia ibiramensis is found some 11kilometers away. 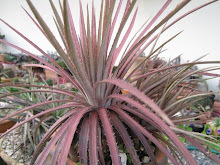 Leaves are like long ribons and the flower stalks present red bracteas. 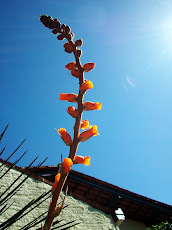 Today in midwinter the weather was balmy and spring like. 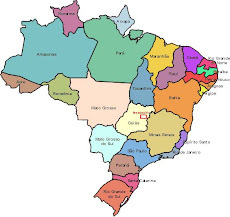 Here I am, at last. 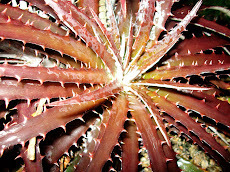 Something to gasp in sheer admiration... it was found on Senhor Nenê lands. 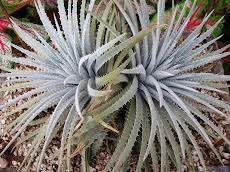 A true nothing to compare. 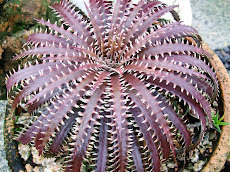 It looks like those sea crabs that disguise its enemies by attaching algae and coral parts on itself. 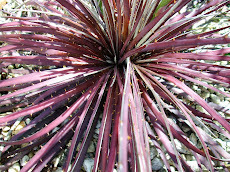 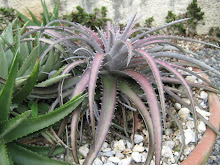 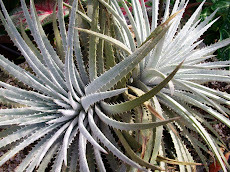 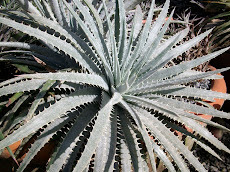 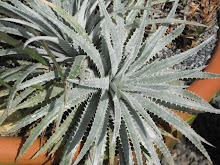 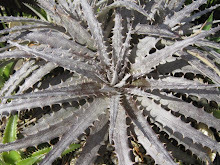 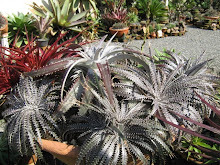 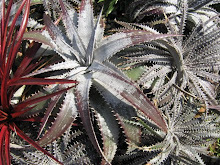 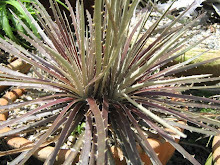 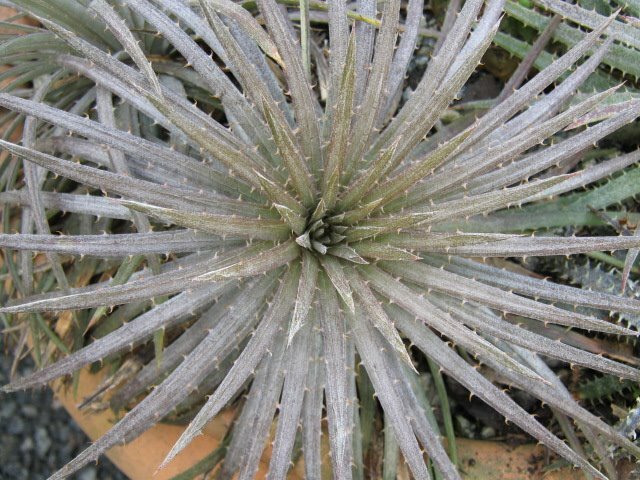 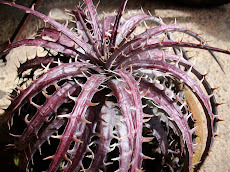 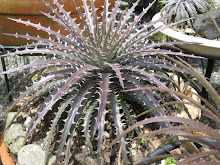 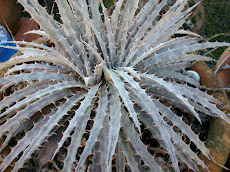 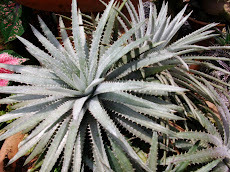 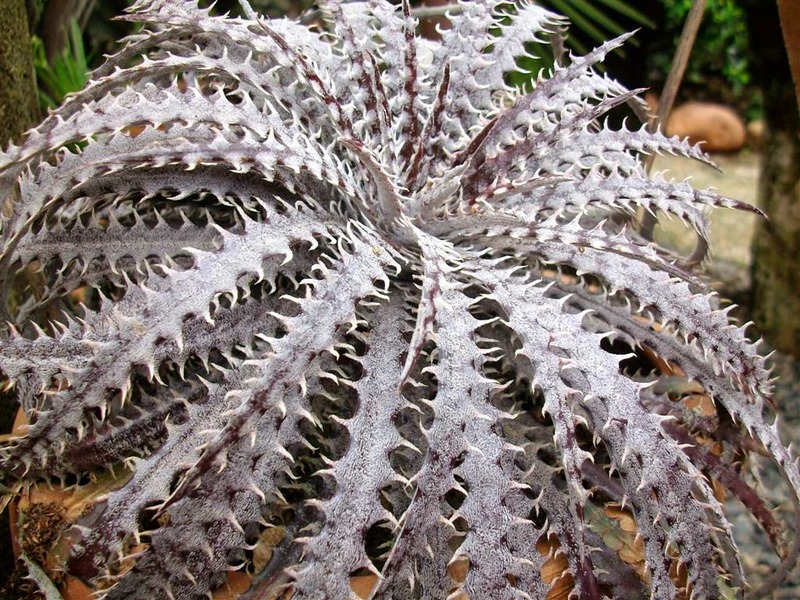 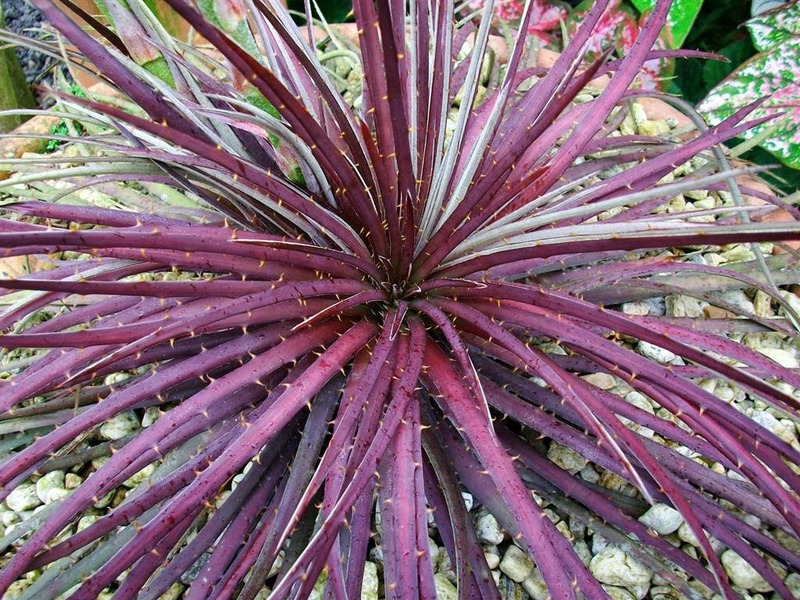 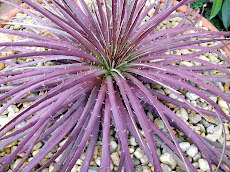 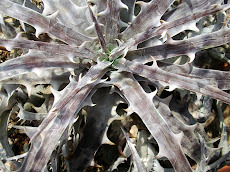 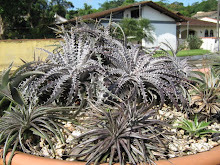 Dyckia pottiorum is an amazing one and presents no equal. 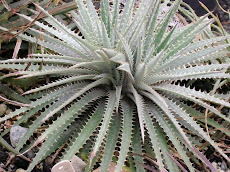 A must have to be added to any collection. 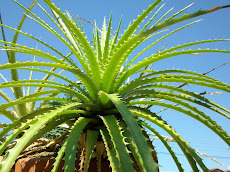 A true sight to behold. 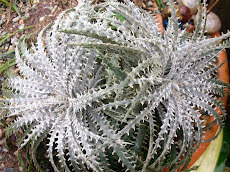 discoides is yet to be described. 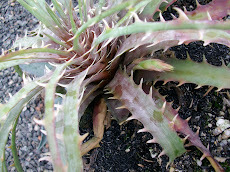 Notice its fiercy strong rose thorns. 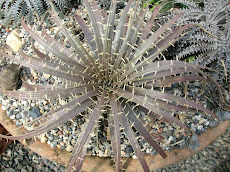 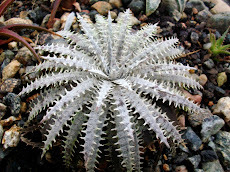 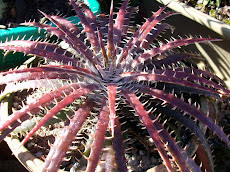 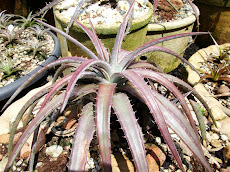 Dyckia pectinata, Latin for "like a comb"
Another young hybrid Dckia I made.